Codecasa Shipyards signed off for the building a new Yacht of 55 meters LOA, the CODECASA 55 – Hull F78, a totally custom-made full displacement Yacht, with steel hull and aluminium superstructure. The Yacht, with her 4 decks, features big windows, which let the natural light into the Interiors and make the Exteriors elegant and eye-catching. With her large spaces, she ensures the best comfort and privacy to Owners and Guests, both inside and outside. A big swimming pool will be placed on the Sun Deck, together with a huge sunbathing area. 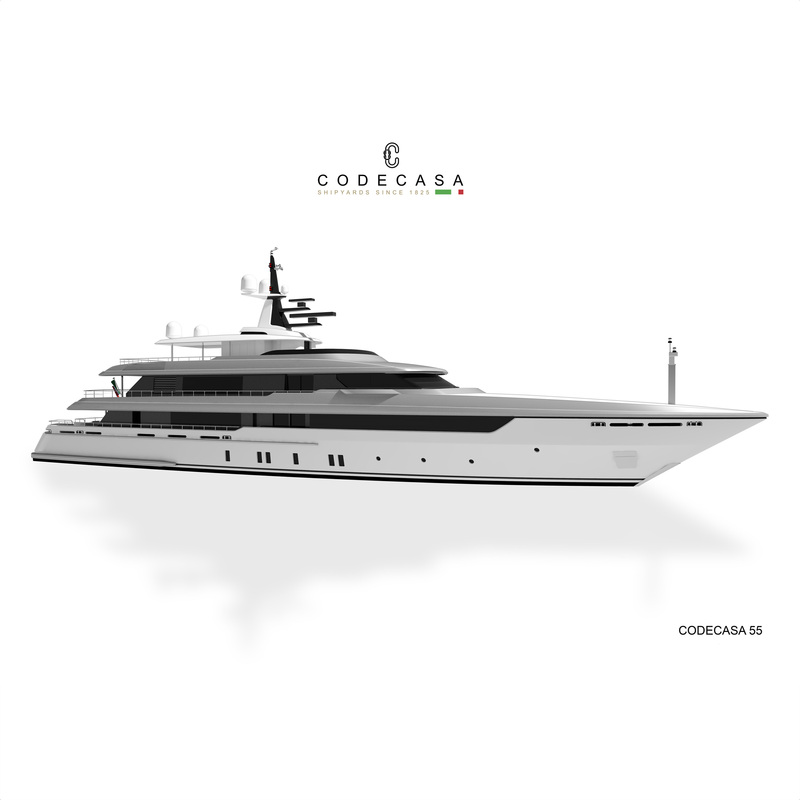 With her clean and essential profile, in line with the Yard style, this Yacht will feature high quality and technical standards. Equipped with 2 Caterpillar 3512E engines, she will be able to reach a maximum speed of 17 knots at the light displacement condition. The Codecasa Technical Team developed the exterior design and they will work in cooperation with Arch. Tommaso Spadolini, who is designing the Interiors of the Yacht. The Yacht is scheduled for delivery in Spring 2021.